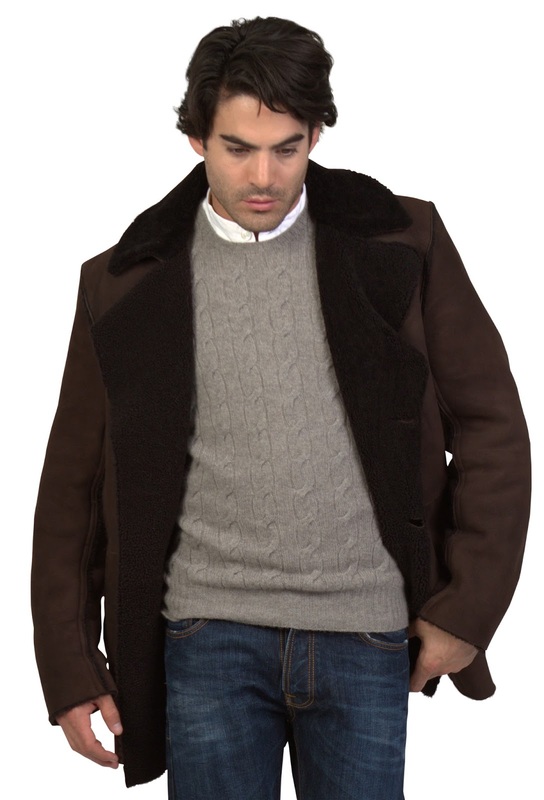 Shearling coats and jackets for men don’t always have to be formal and, certainly, not old-fashioned. With the rise of a classic aesthetic that plays with texture, shearling can be a great way to go not only for winter outerwear, but for pieces that can be worn during fall and spring. As compared to the glossy, rock star attitude that comes with leather, sheepskin has a suede finish, promising a rustic, laid-back feel. Some might even call it romantic and inviting, thanks to its plush texture. Even so, there are some jackets that strike the balance between gloss and plush comfort. Some are given an edge with leather accents or an all-out Napa finish while retaining the plush texture of the sheared wool lining. Of course, the key to perfect shearling jackets is all in the fit and the quality of pelts used to make them. While the material alone exudes luxury, comfort and romantic warmth, a perfect fit brings out the jacket’s masculine style.